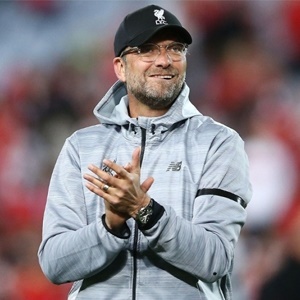 London - Liverpool manager Jurgen Klopp praised his players after they put West Ham to the sword on Saturday, winning 4-1 at the London Stadium to heap the pressure on Slaven Bilic. Mohamed Salah put Liverpool ahead and Joel Matip doubled the visitors' lead before half-time. Manuel Lanzini reduced the deficit, but woeful West Ham capitulated and Alex Oxlade-Chamberlain netted Liverpool's third before Salah bagged his 12th goal of the season to seal the rout. "The result, it feels good," said Klopp. "We changed our approach, it was a counter-attacking line-up to use our speed from a deep situation. "It was brilliant play for the first goal. "Our counter-attacking was pretty perfect, we had some wonderful play. Roberto Firmino, I'm not sure I've ever seen a player play a third game in the week with such intensity and I'm a few days in this business." "It's a really good week," he added. "It's a good moment to have a little break. We lost our skipper overnight and Gini Wijnaldum did not have his boots here. We thought he had no chance of playing, we only brought him here so he is nearer to Amsterdam, he was flying there to see the doctor." The victory took Liverpool back to sixth position in the Premier League table but West Ham are just one point off the relegation places.